Lemon drop martinis are my very favorite mixed drinks. Tart and sweet, my version takes just three ingredients, lemon vodka, limoncell0-which is a lemon liquor and lemonade. But, I also love grapefruit and blood orange cocktails. 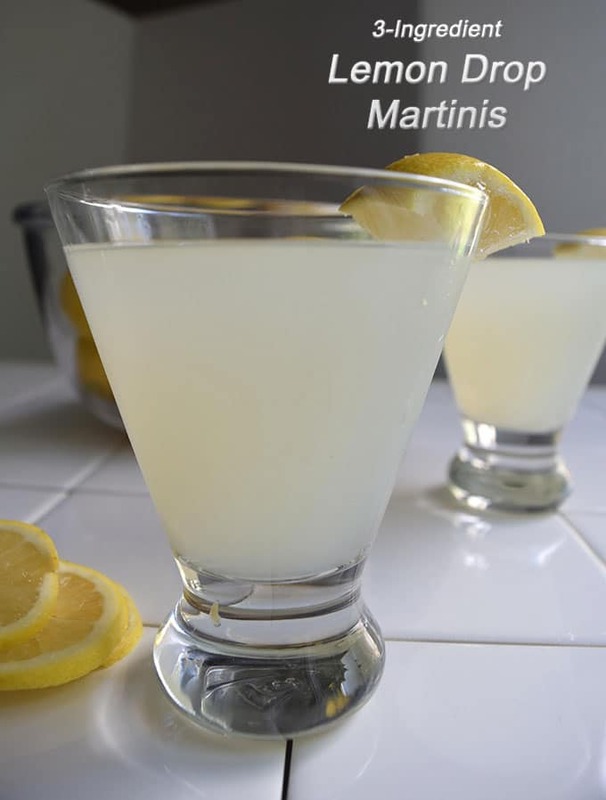 My favorite lemon drop martinis are made with just three ingredients: lemon vodka, limoncello and lemonade. A lemondrop martini is one of my favorite drinks. I really love the taste: fresh and tart but with a hit of sweet. And that’s just how I would describe the cocktail. Do you need a lemon inspired dessert to accompany your cocktails? Might I suggest Lemon Shortbread Hearts? Or Arnold Palmer Cookies? 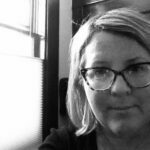 Whenever the husband and I have a date night, which is happening more now that we have a teenager, we usually go to our favorite sushi restaurant. The owner makes a perfect lemon drop martini. I like to make cocktails at home because it’s so much more economical than going out. These days in coastal Maine, a lemon drop martini at a restaurant or bar is at least $10. If you’re in a city, they probably cost more. I can make a lot of martinis at home for the price of four martinis at a bar. After much experimenting and drinking of limoncello martinis, I think I’ve nailed the sushi restaurant owner’s version. Combine two ounces each of lemon vodka and limoncello with two to four ounces of lemonade in a cocktail shaker or mason jar. Put in a handful of ice cubes and and shake until the shaker is freezing cold. Pour a few tablespoons of white sugar on a small plate. Run a lemon wedge along the rim of a martini glass. Roll the rim of the glass in the sugar. Pour into a martini glass and serve. This is a great drink to enjoy after long day at work or after an afternoon of weeding and planting in the garden. Serve with a little bowl of nuts or olives. Of course, cheese and crackers or biscuits would go well too. If you’re living in Europe or an urban part of the U.S. maybe you have access to multiple brands of limoncello. I have just two limoncello brands on my local liquor shelves: Caravella and Pallini. Pallini is a brand I really like it and it happens to the brand that my Japanese bartender uses. I’ve tried making my own limoncello and didn’t love how it turned out. I used vodka, which I think might have been the issue. I’ve done some research which says a high alcohol content like Everclear is the best base for lemon liquor. 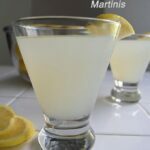 I’ve been using prepared lemonade for the lemon vodka mixed cocktails but lemon drop martinis would be even better with homemade lemonade. The lemondrop martini is a popular drink. History says it was invented by a San Francisco bar owner in the 1970’s. If you’re out of vodka, pour an ounce of limoncello in a tall glass full of ice and top with seltzer water. Your turn: what’s your favorite cocktail recipe? Three ingredients are all you need to make tangy but sweet lemon drop martinis. Rub a slice of lemon around edge of glass. Dip rim of glass in white sugar and set aside. Pour lemonade, vodka and limoncello in a shaker or mason jar and shake well. Garnish with a wedge of lemon, if you like. Don’t go without looking at my favorite white wine recommendation. (It’s delish, foreign and cheap!) Plus it comes usually in a really pretty wine bottle. Previous Post: « Dahlia First Ever I Grew Myself! Mmmmm.. That is one yummy martini recipe. Lemon drop martinis are the very best martini recipe! Hope you enjoy. I love lemon drop martinis! I once read that every hostess should have a signature drink, and I claimed lemon drop martinis. I make mine with lemon juice, simple syrup, and vodka, and my friends are now disappointed if I don’t serve them at get together. Viva la lemon drop! Also, limoncello is surprisingly easy to make yourself! I’m just realizing that there are so many different ways to make them. A pub near my house uses vodka, lemon vodka and a bit of house made sour mix. Still so delicious. I did make a batch of limoncello the winter before last but I wasn’t thrilled with how it turned out. I used a bottle of Stoli and I’ve since done some research that it’s best made with a really high level of alcohol like Everclear. Do you have a good limoncello recipe? What about your lemon drops-do you gild the lily with a sugared rim?